Because we stan saving money and having a well-decorated home. 1. 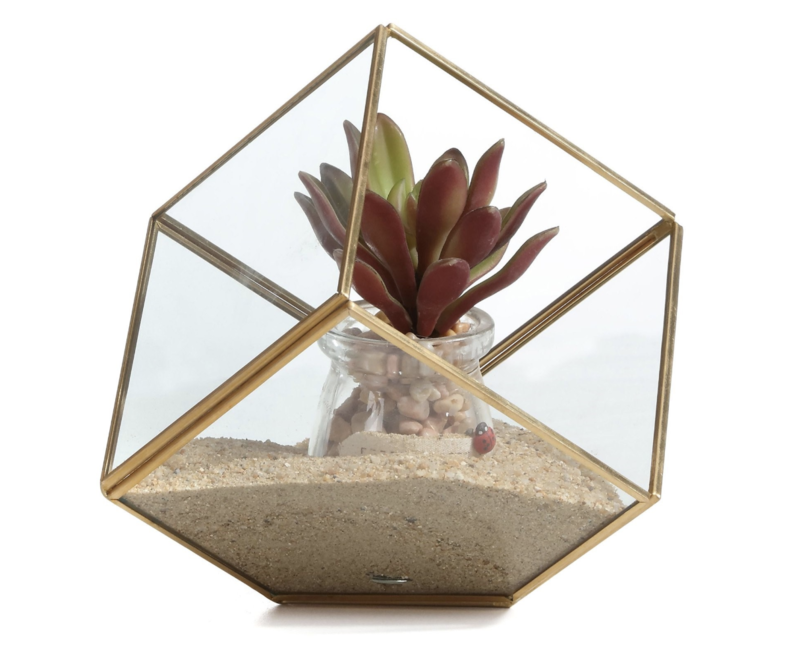 A glass terrarium you can fill with succulents or beautiful gem stones. 2. A gold-finished frame that'll ooze elegance at a very cheap price. 3. 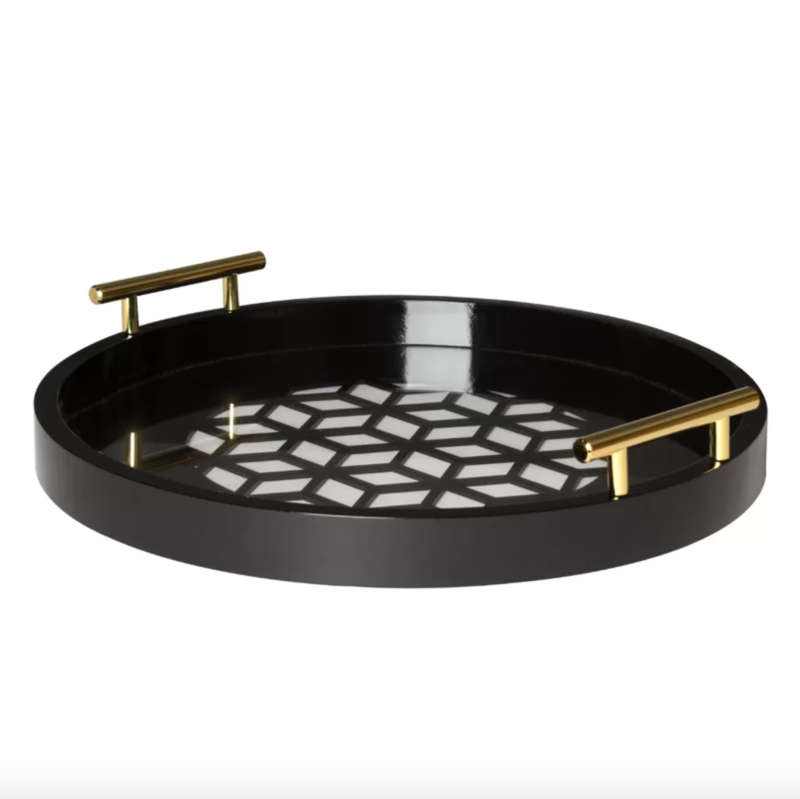 A bar cart everyone will become obsessed with at your next dinner party. This cart can be wheeled into any room and has three built-in bottle holders. 4. A set of ceramic planters with fun geometric designs to give your plants a happy home. 5. 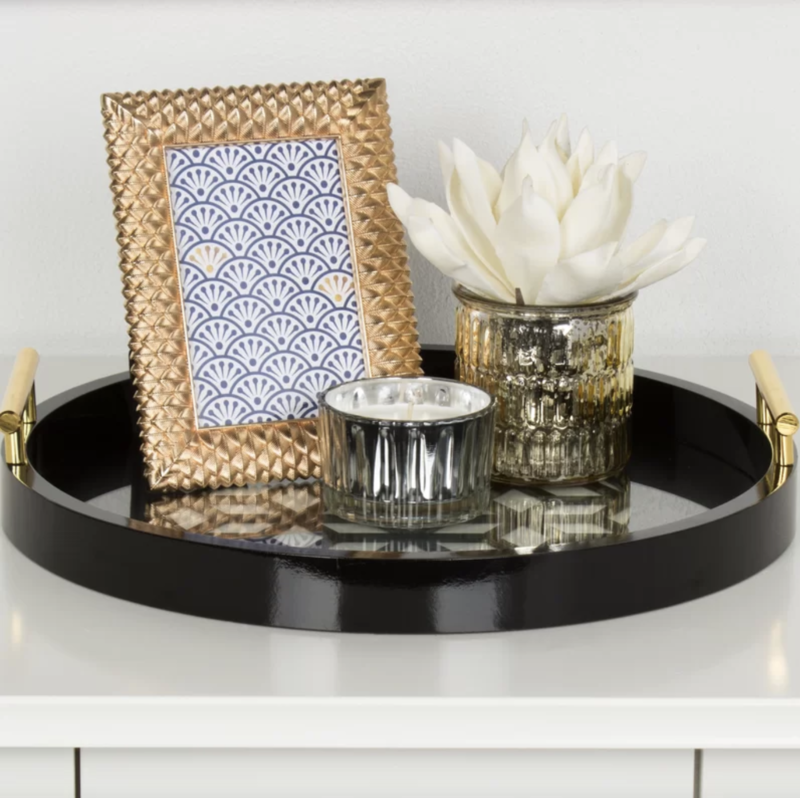 A patterned tray you can utilize to carry drinkware or as a display spot for small trinkets. 6. 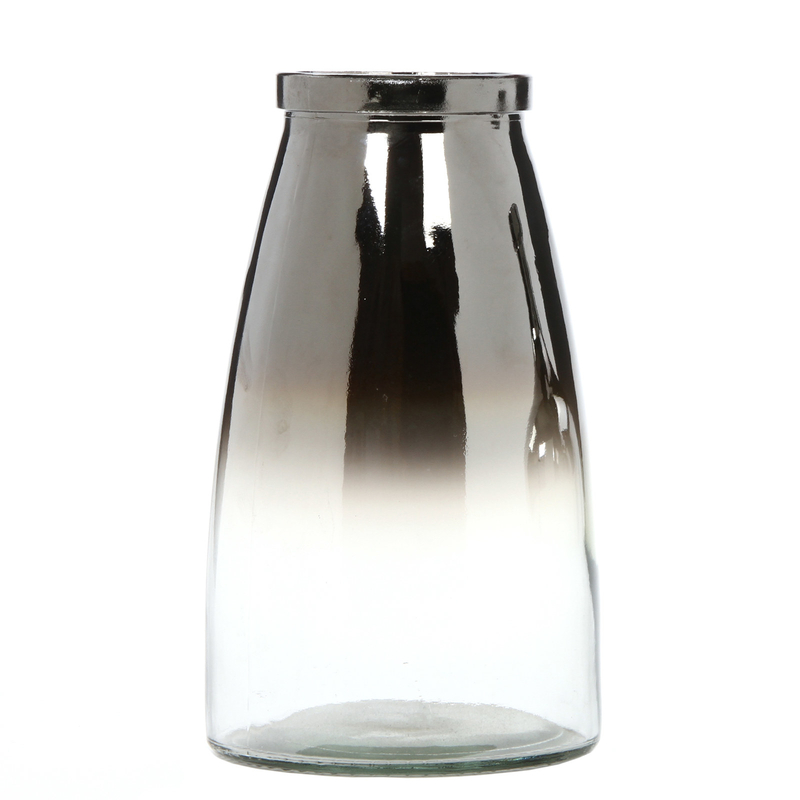 An ombre vase because every home is a bit happier with flowers. This vase is a little over 10" tall. 7. A two-tone wall clock that'll be a pleasure to hang in your living room or kitchen. This silent clock uses AA batteries. 8. And if that doesn't suit your fancy, then this faux-marble one will definitely do the trick. This silent clock also uses AA batteries. 9. A padded stool so you can comfortably rest your feet while you binge-watch Netflix on your comfy couch. 10. A lantern to accent your bedroom with that'll also provide some low light for nighttime reading. 11. And to showcase within those lanterns, these candles are flameless and therefore safe to leave going for hours and hours. Enjoy!! 12. A chic sheepskin you can drape over a chair or place next to your bed so your feet won't hit a freezing cold floor every morning. 13. 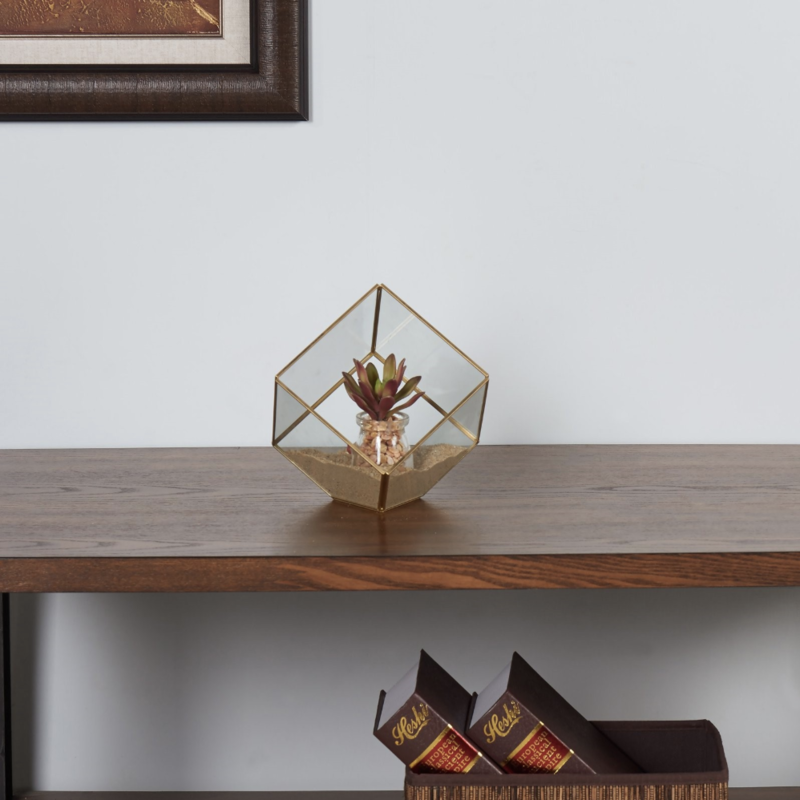 A sleek table lamp that won't cause clutter, but will bring light to the darkest of corners. 14. A shag wall hanging because sometimes framed art is a bit too tried and tired. 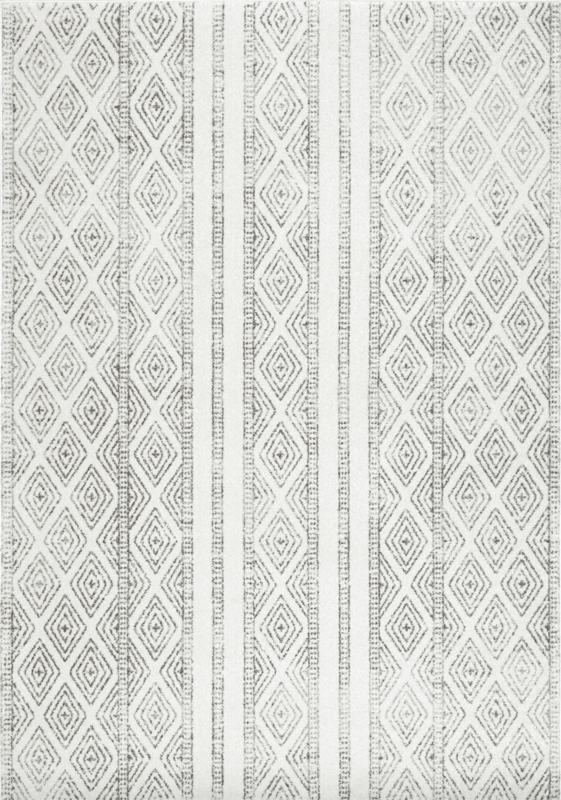 This can add texture to otherwise plain walls. 15. A starburst mirror so pretty, it could also replace more traditional artwork. 16. A plush sherpa throw you'll want to cuddle up with every night. And never let go. 17. An adorable sleeping star pillow you need to add to your bed ASAP. 18. 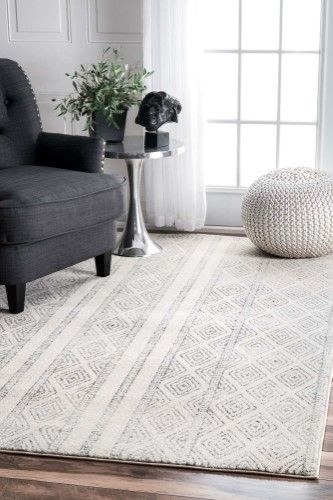 A neutral rug that'll help create the illusion of a larger room (looking at you, small apartments). 19. 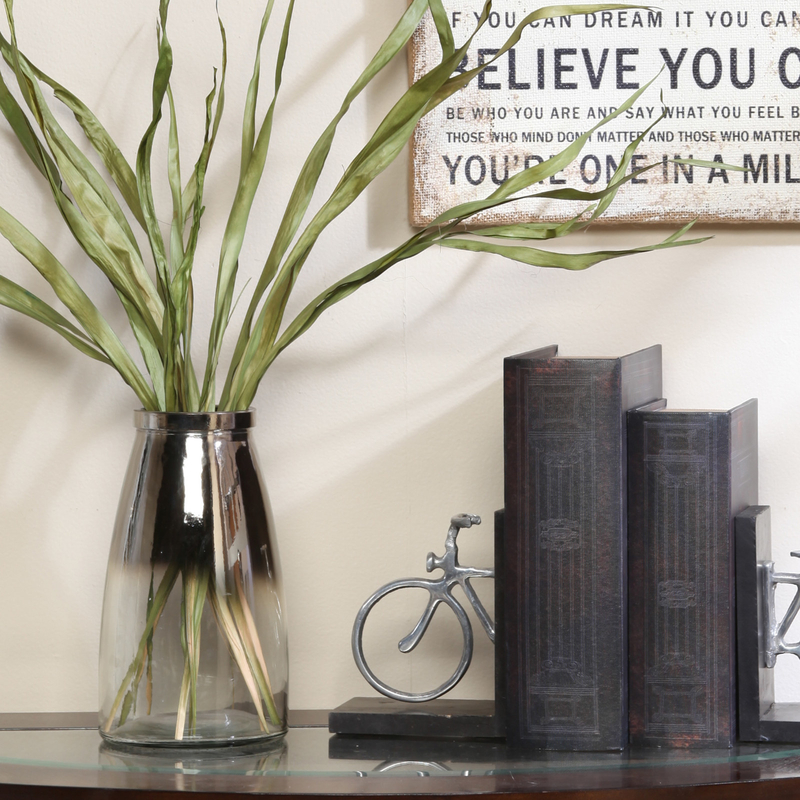 A set of orb sculptures to place on a floating shelf or use as an addition to a bookcase. 20. And finally, a two-tone seagrass basket because having extra storage space plus a beautiful woven basket is a definite home decor must-have. The bonus? This basket comes in an assorted set of three!